Breastfeeding support, one-to-one birth preparation and antenatal education, antenatal breastfeeding classes, workshops for doulas and parents. Closing the Bones massage. I suspect you’ve been reading quite a few of these and hopefully some stuff on this website about what doulas do. So you’ll know by now that choosing a doula is about making a short list, having some chats on the phone, some face to face meetings and then going with your gut instinct. I do the same – I love to work with people I feel an affinity for. 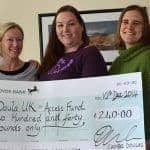 Doula support is a relationship and I want you to feel you are being supported by someone who really cares, who won’t mind being woken up in the middle of the night – in fact, someone who relishes it. Yes, doulas really are that weird! Part of my role as a doula, is to be there to offer you support, encouragement, information and practical help. Because becoming a mother, or having another baby, is a time of transition. All transitions in life are times when most of us enjoy and benefit from someone to listen, to bounce ideas off and to build our self-esteem. I feel huge love and pride in my clients, but I am detached enough not to feel compelled to tell you what I think you ought to do. My trust is in your ability to make the right choices for you and your baby. The passion and fulfilment that comes from being a doula stems from the huge satisfaction I get from accompanying parents in their journey – guiding them through the maze of pregnancy and childbirth and supporting them through the transition to parenthood. It truely is an honour to walk with mothers and fathers during this time. The services I offer are uniquely tailored to the individual family, as are the costs, so please contact me for details. It is the little things that make a difference, so ask for what you need and I’ll do my best to help you reach your goals. On going training with Doula UK ie regular Study Days/weekends. I am a Breastfeeding Counsellor and founder member of the charity Cambridge Breastfeeding Alliance. I help run a local Birth Choices group and was instrumental in setting up our local VBAC Support group. I have supported both first time mothers and those having subsequent children. My clients have opted for both hospital, Birth Centre and homebirths. Some have chosen to have vaginal births after caesareans. I have also supported women having caesareans, and been present in theatre. I have also supported many women labouring and birthing in water, both at home and in hospital.I have worked with a number of women having twins and more. I have supported women through many choices in childbirth from elective c-sections to all-natural lotus births and the normal birth of twins – my prime concern is that families feel supported in their informed decisions and have as fulfilling and positive experience of their child’s birthday as possible. I don’t offer related services such as complementary therapies but can signpost you to those that can. I do, however, offer a postnatal massage called ‘Closing the Bones’, designed to be relaxing and aid recovery after childbirth. I also offer an antenatal ‘Preparing the way for Feeding My Baby’ session. This is just for you (and your partner) in your own home and is tailored to your individual needs and concerns. I’m mother to 2 wonderful young people (born 2000 and 2003)and stepmum to one wonderful, all-grown-up person. 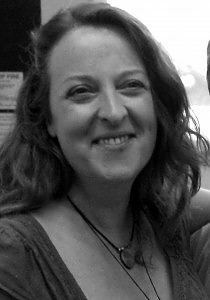 I’m a birth and postnatal doula, doula course leader and breastfeeding counsellor. I can’t think of anything more important than the way we give birth and nurture our children.